ESTATES OF HUNTING CREEK is a development of high-end, luxury homes in Prospect KY that are accessed from Covered Bridge Road and are on the Oldham/Jefferson County line. They are just east of Highway 42 and Prospect. This is an established subdivision of luxury homes located in the zip code 40059. These homes sell in the 400’s to in excess of a million dollars. Prospect is a small community on the northeastern end of Jefferson County. It is considered a little more affluent than other areas of Jefferson County. You will find the necessary shopping here and it is a short drive to the business hub of downtown Louisville. Access to the Gene Snyder is also very close. These properties for sale in The Estates of Hunting Creek are updated every day from the Louisville MLS. If you would like to learn more or have any questions about any of these Estates of Hunting Creek houses for sale, just click the "Request More Information" button on any property detail page. 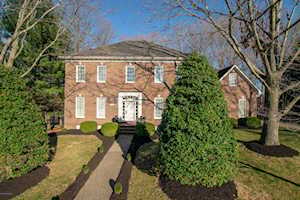 We can also provide you with information on Louisville KY real estate. We can provide you with past sale information, comparables, disclosures, PVA assessment, and tax info – we would love to answer any real estate questions you have. You can reach REALTOR Tim Hollinden at 502-429-3866 for more information on these houses for sale in The Estates of Hunting Creek.